As many of you know, I love language. And one of the things that has been exceedingly enjoyable about learning the craft of traditional printing is learning its associated lexicon ~ the words and phrases that identify printing's particular tools and processes. 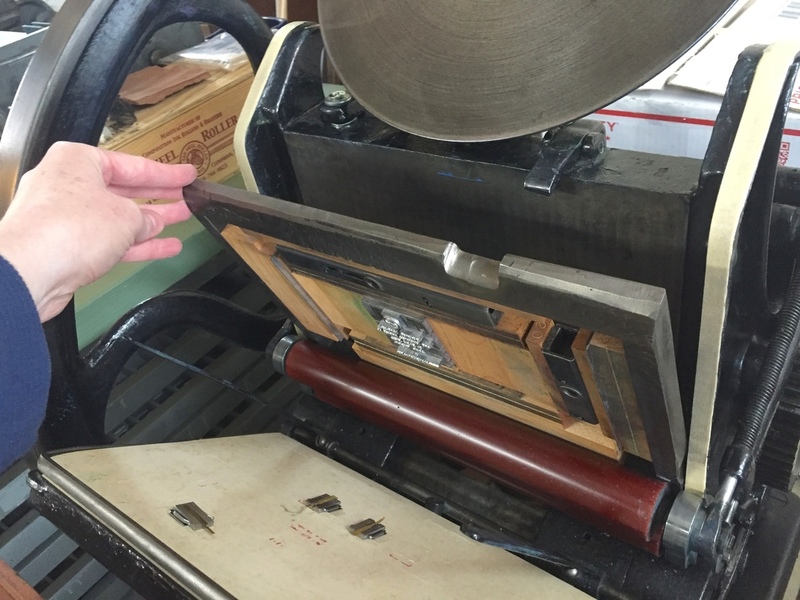 In this occasional blog series, "A Letterpress Lexicon," I thought I'd share with you some of my favorites. Enjoy! CHASE: A chase is an iron or steel rectangular frame into which the type to be printed is placed. After the type is secured, the chase is lifted into the bed of the printing press, the type is inked, and an impression is made upon paper. FURNITURE: Wooden or metal furniture is used to surround the block of type within the chase, taking up any extra space between type and chase edge. Wooden furniture, such as we use here at St Brigid Press, is traditionally made from kiln-dried hardwoods, and comes in standard sizes to fit the job. QUOIN: A quoin is an adjustable metal wedge used to tighten and "lock" the type and furniture in the chase. 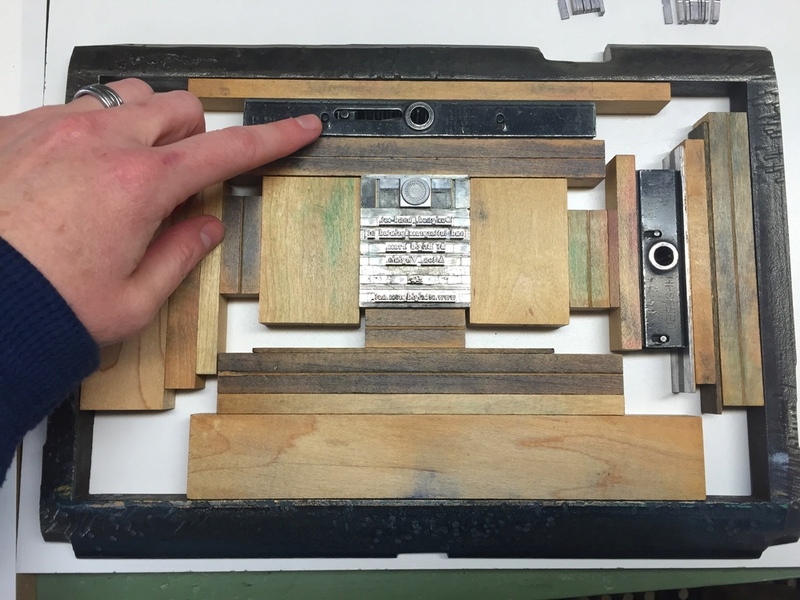 Although there are a variety of styles, all quoins operate with the basic principle of applying pressure to secure the form, allowing the chase to be safely lifted into the printing press. And here's a short little video that puts all these pieces together!